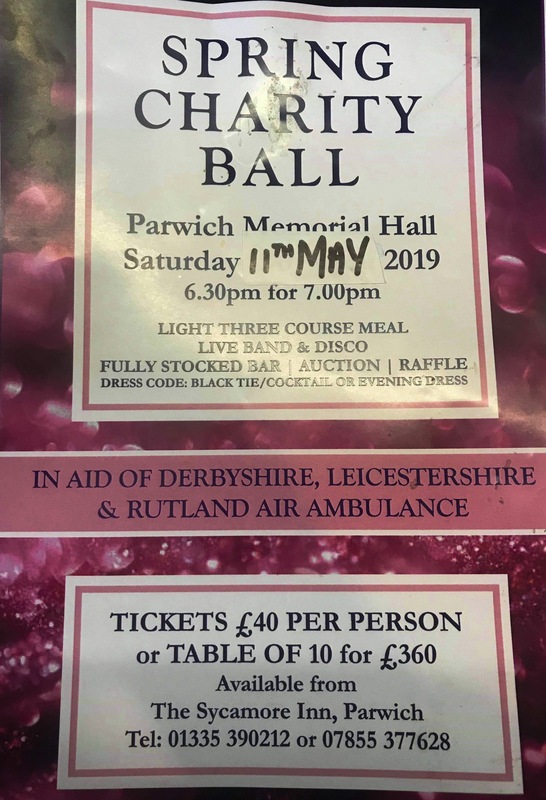 Please note that the Spring Ball is now on Saturday 11ty May (in aid of the local Air Ambulance). There is just one table left so contact Kirsty tel. 01335 390 212 to get your tickets now.